No doubt when one mentions Penang, that haven of gastronomic delights, the first thing that comes to mind is the food found on the island and not on the mainland. Not many visitors would consider taking time out from their eat and shop on the island itinerary to explore the less flashy side of Penang: the mainland. I remember a couple of years back we were introduced to Khunthai Restaurant that serves delectable Thai cuisine in Butterworth; a semi al fresco dining establishment occupying a relatively large plot of land (not as costly over on the mainland compared to the “diamond-encrusted” tiny island) and on weekends and public holidays the restaurant attracts bus-loads of people. 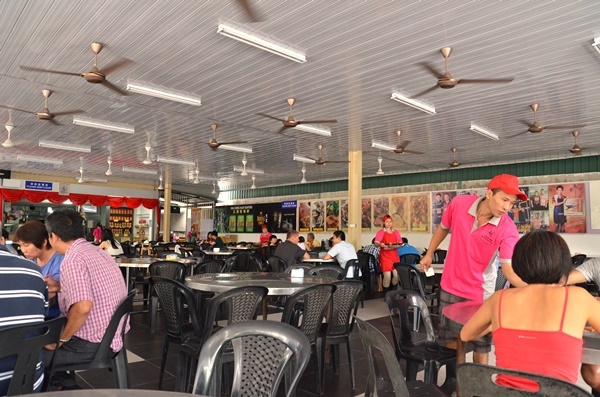 Although one could argue that Khunthai has three other branches in the country; one on Penang island, and two more in the Klang Valley, the authenticity, taste and experience simply cannot match the original outlet in Butterworth. But wait, we are not talking about Khunthai, or Thai cuisine for that matter. Instead, we scouted the vicinity for an equally impressive (if not more) hidden gem by the name of Ong Cheng Huat Seafood Restaurant. 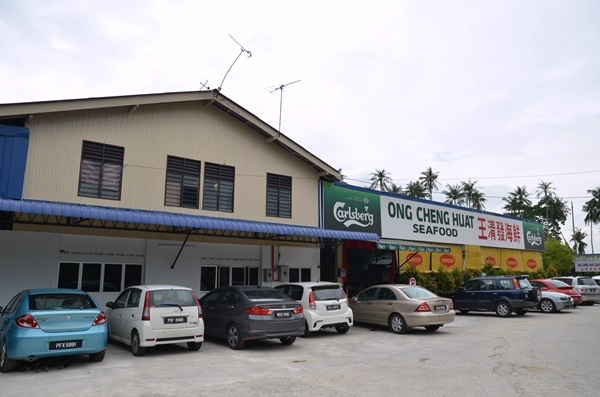 Ong Cheng Huat is located off Jalan Bagan Lallang, merely a few kilometres away from Khunthai which is situated on the opposite side of Butterworth’s Outer Ring Road. Despite the really hidden location (you really need a good navigation system, or directions from the locals if you are not familiar with roads around Butterworth), this restaurant has been featured a few times before by the media, most notably appearing on a local Chinese food show and thus is now well-known among non-local folks and curious gluttons. The restaurant has this very similar set up to Sitiawan seafood restaurants; vast seating capacity with round tables that can fit an extended family comfortably, high ceiling to generate a sense of space and airiness (you definitely need the latter, as there is no air-conditioning here), and selection of simple Chinese cooking (only a few dishes available daily, I will go more into that later) served with a refreshing albeit slightly intoxicating coconut wine or toddy. The ordering process is made many times simpler although there is no menu; Ong Cheng Huat believes in visual presentation with overblown pictures of their signature items on the wall, about eight dishes or so that can be seen being polished off on every table. 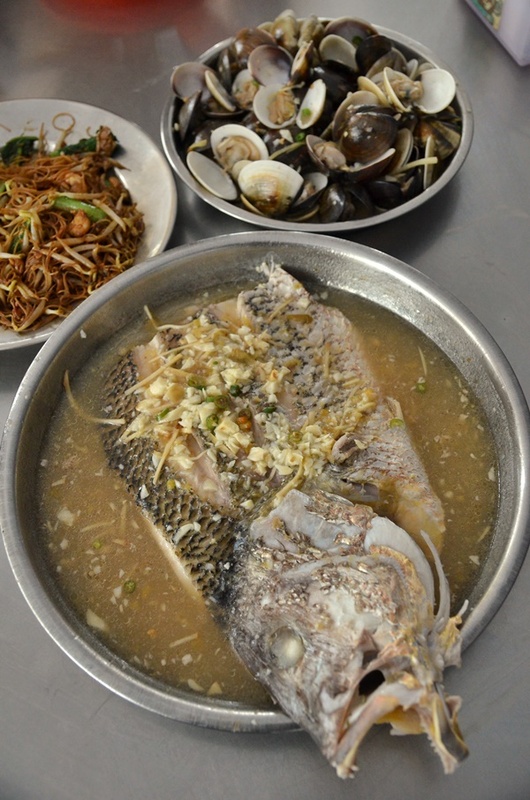 Some of the mainstays in their limited menu include steamed snapper, fried spring chicken, prawn fritters made out of popiah skin, steamed clams (kepah), boiled octopus with garlic oil and chili, and fried bee hoon (rice vermicelli noodles). And let’s not ignore the elephant in the room; fresh toddy made daily from fermentation of the sap produced by coconut palm trees. The food arrives almost within minutes upon placing our orders. The logic behind their limited yet focused menu could be working to their advantage in maximizing customer turnover. This is, after all, a restaurant that opens for a mere few hours a day; from 11am until 5.30 pm. Instead of serving the dishes with rice as is the case with conventional Chinese eateries, at Ong Cheng Huat they only serve fried bee hoon. Not that you’re missing out a lot without rice, really. 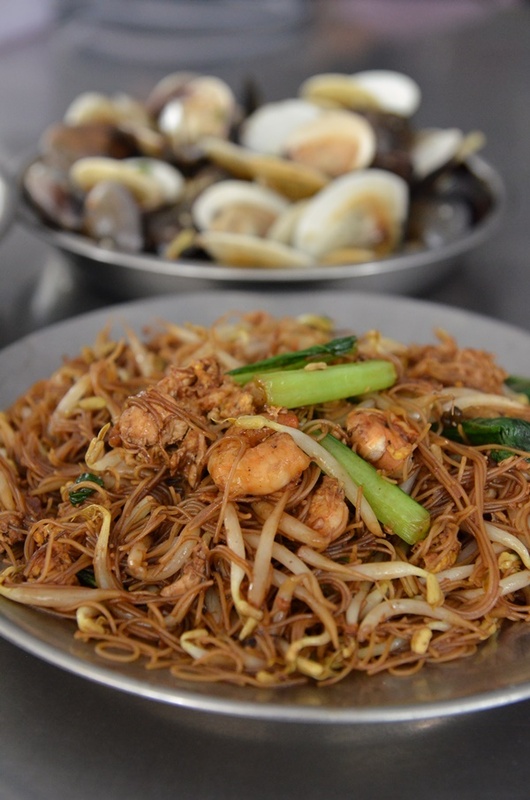 On the contrary, the fried bee hoon comes with eggs, shrimps, bean sprouts and choy sum, fried to a pleasantly-dry consistency, brimming with wok hei (a smoky taste imparted by expertly frying the noodles over a well-heated wok) and surprisingly light. After all, you don’t wish to be satiated by the noodles only. 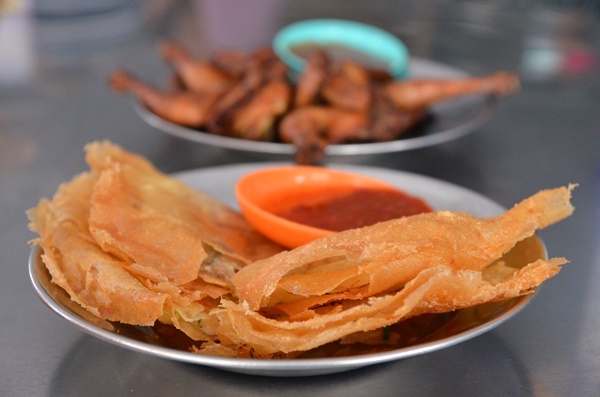 What could possibly pass off as a snack rather than a main dish, the prawn fritters are actually prawns sandwiched between very thin layers of popiah skin and deep fried to utterly-blissful crispiness and then dipped into a sweet and slightly tangy chili sauce. But the highlight of the feast has to be their trademark fried spring chicken served with sweet chili sauce. Marinated simply with soy sauce, sugar and possibly a touch of five spice powder, the chicken is not the crispy, batter-coated version you find in fast food outlets. 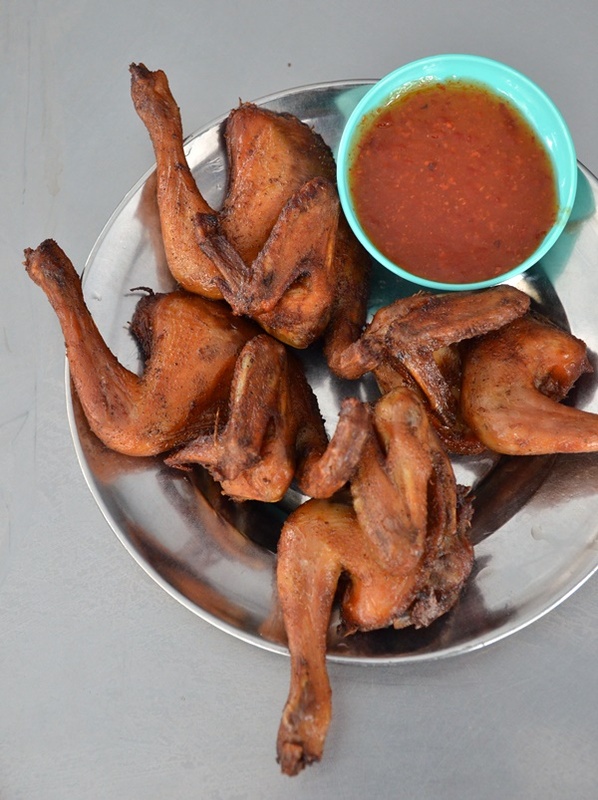 But instead, the smaller fowl is fried to a beautiful, mahogany-brown shade but the flesh remains juicy. 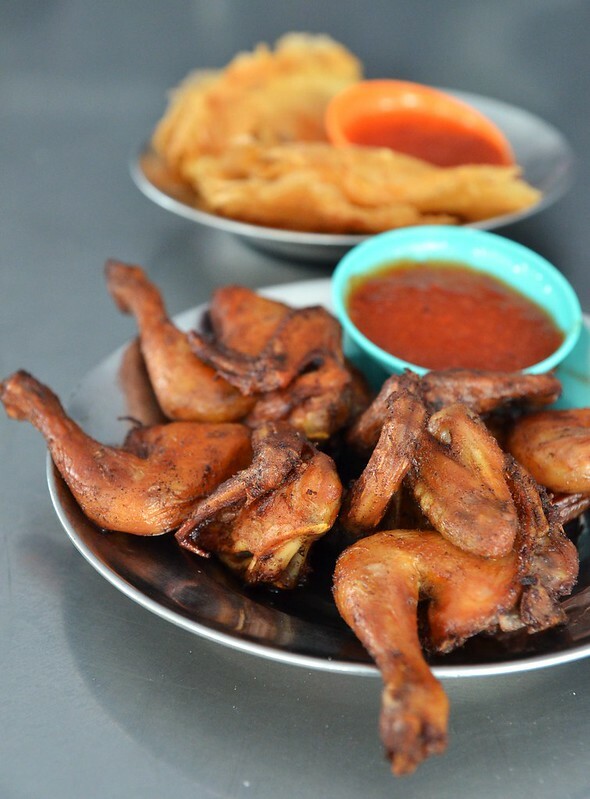 At RM6 per bird, this alone is well worth your trip all the way here. There were two more dishes which came in quick succession; the steamed snapper fish head was humongous, the flesh was at least an inch thick and the condiments strewn across the fish consisted of finely-chopped garlic, julienned ginger and chopped bird’s eye chillies (cili padi) to give the otherwise mild dish some kick. The tangy gravy (possibly from a squeeze of lime) would have gone perfectly with white rice. The fish was super fresh, possibly caught earlier that same day and shipped directly to the kitchen. 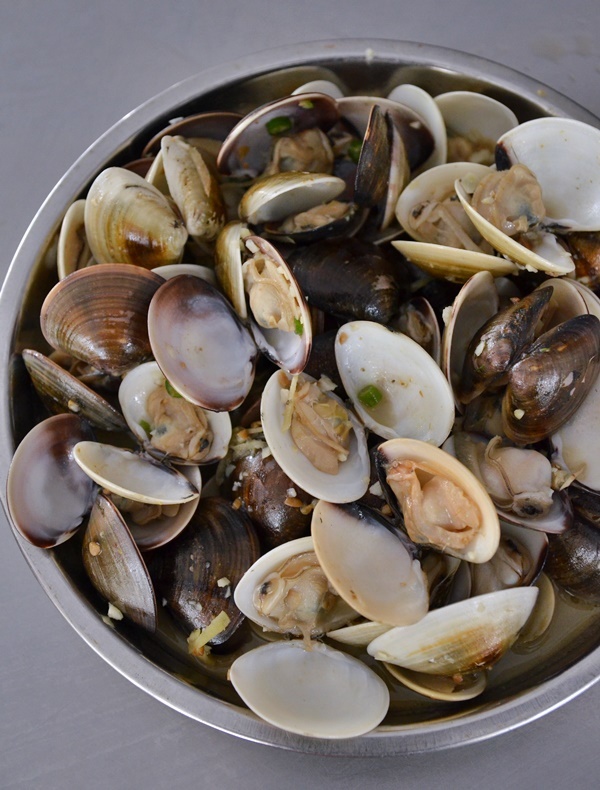 Lastly, do not discount the otherwise humble steamed “kepah” clams. As I said, whatever Ong Cheng Huat has proudly included in their simple menu are signature dishes cooked to perfection. Light, refreshing and mild to the palate, the clams were fresh and firm to the bite; the bits of chopped garlic, ginger and cili padi lent a robust tinge to the shellfish. And to cap the meal off, a glass of toddy. 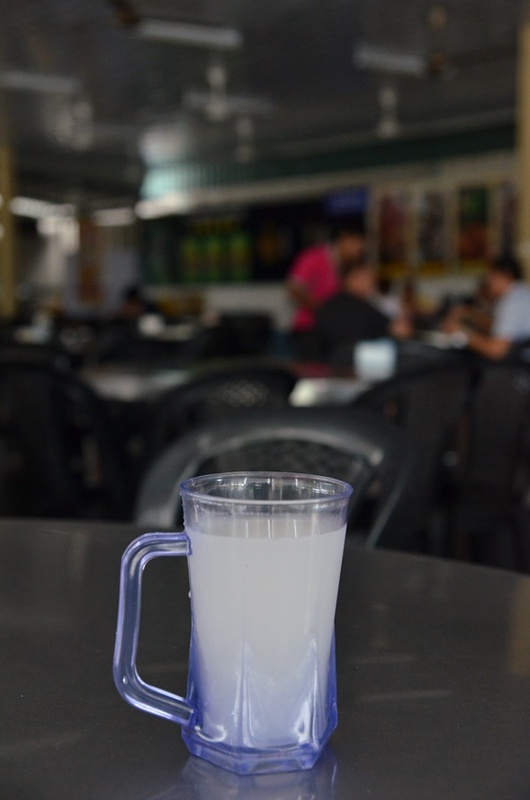 The toddy here is made fresh daily, bearing a murky shade of pale white that is not unlike a barley drink, but the sweet and sour nuances were obvious from the first sip, with the heady aroma of alcohol coming strong within seconds. The meal for three came to slightly above RM80; the fish alone was RM38 but at that size, it was a steal. Business Hour: 11am to 5:30pm. Closed on Mondays.